Our current view in Stephenville, Texas -- pretty nice! Even though we are still in Stephenville, finishing out the spring semester at Tarleton, we have already started our vagabond lifestyle. Since we sold our house and moved out we have been living with our very generous friends, in their pool house. We are not suffering. It’s pretty sweet! The view is soothing and this temporary home has become a wonderful oasis in the midst of a snowball of exciting, yet sometimes stressful, activities that will end our time in the Ville. 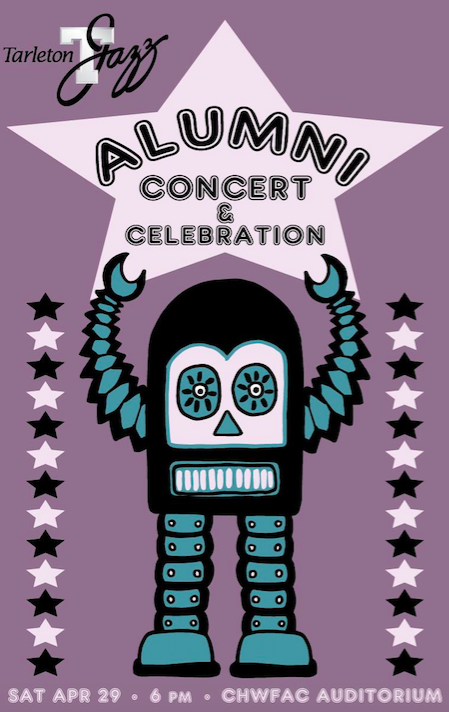 Greg’s alumni concert is Saturday tonight and we are making Cincinnati Chili for 200 people. This cooking extravaganza is happening in stages - poolside with the help of borrowed turkey roasters, then in our church kitchen and finally in the Tarleton ballrooms. 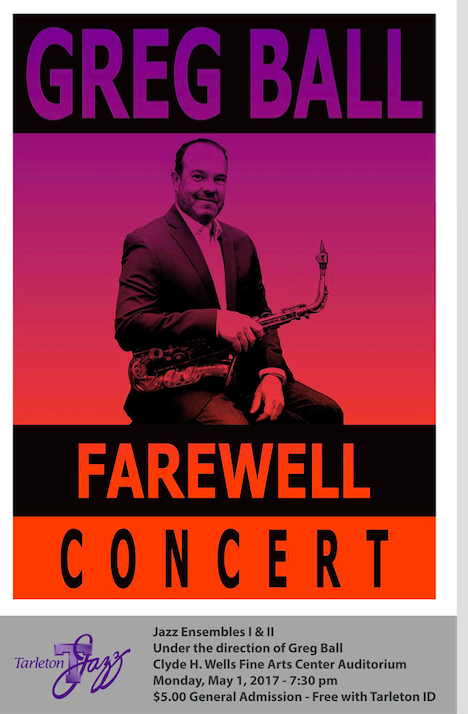 His last TSU Jazz Ensemble concert is Monday night and I am anticipating it being an emotional night. Our daughter (and Euro Travel Coach partner! ), Chelsea, flew in from Copenhagen to surprise her dad. Greg's sweet parents came all the way from Ohio for his last concerts. I wish my parents could be here too but they will have to hear this fabulous band from heaven. We are all very proud of Greg and so am I. This is a celebration, yes, but a turning point. It is the end of an era. Greg loves his job. I know he will miss his students. I'm pretty sure they’ll miss him too! A dear friend of mine came to say goodbye to me this week. He’s traveling abroad and we'll be gone when he returns. He said we may never see each other again. I hadn’t really thought of that as we plan to leave our hometown for the last 24 years. I always think that paths will cross in the future. But you just never know what life will bring. He said the kindest thing to me. He said I inspired him. I inspired him to travel. That makes me so very happy. I’m having problems with my neck. My doctor says it is degenerative arthritis and bone spurs. I'm pretty pissed about this but I'm figuring out how to manage it. I feel like those who say that age is a state of mind haven’t had joint problems. But that is exactly why we want to go on this epic journey NOW. It is with excitement and enthusiasm that we move forward with our plans. There is no reason to wait. Who knows what life may bring? Carpe Diem. Seize the Day. The time is near! And you can always find something good in every situation. I walk nearly every day but have needed to do more stretching and strength training to keep my body agile as I get older. Many of our elders have told us to just keep moving and we are trying to follow their advice. This neck thing has forced me to stretch every morning and do regular exercises as part of my physical therapy. I think maybe my arms will be looking better in a sundress this summer because of these exercises! I hope that's the case, anyway! So the view from the pool house is quite fine. My heart does flip flops between happiness, melancholy, mild concern (usually about money and health) and great joy. We are so grateful for our time here, our dear friends, all those who support us in so many ways, and the opportunity to live out this crazy dream. It’s pretty awesome and we are very lucky. I hope you’ll join us on our journey. Remember that we are always available to you and your friends and family for custom trip planning to Italy, France, Ireland and all of Europe. Euro Travel Coach also has an exciting small group trip to Tuscany planned for May 2019 and a great small group trip to Piedmont in October 2019. You can reach me at betsy@eurotravelcoach.com. I would love to help you make your travel dreams to Europe come true! Please share your email address so we cal let you know every time there is a new blog post!